Slow down music, choose the perfect pitch, and learn to play by ear! ANYTUNE™ is the ultimate music practice app for singers, dancers and musicians of all kinds. 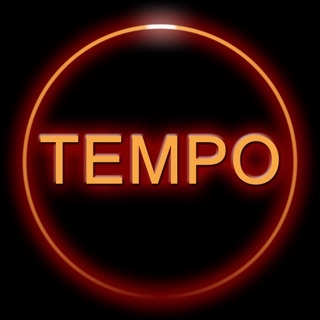 Use Anytune to learn to play, transcribe and practice songs by slowing down the tempo, adjusting the pitch, repeating loops, setting marks, and sharing comments using your favorite tracks! Install Anytune for basic sound quality and features. Enhance Anytune with In-App purchase feature packs incrementally or get the feature rich Anytune Pro+. Note: Anytune cannot play Digital Rights Management (DRM) protected files including streamed songs from Apple Music. - Remotely control Anytune via MIDI or from a Bluetooth keyboard or foot pedals such as the AirTurn BT-105 or PageFlip Cicada. I used to use a Tascam guitar/bass trainer religiously. I thought this tool was great at the time. Wore the 1st one out & bought a new version for $170. They made the new updated one cheap & took out a few great features. I loved this portable device. Plug in the guitar to headphones, slow solos down, learn songs quickly & no excuses not to practice and learn ANYWHERE! I then came across this app by accident one day. IT BLEW ME AWAY. It does so much more then what I had. The sound quality at slow speeds wasn't as warbly and actually very clear. I laughed because the slowest setting of .05 is sick. The slowest others have is .50. This is the best app every and the cost is so worth it. I use this everyday and am still learning new functions. And I gave my new Tascam to a friend. Don't think this app can be topped. YOU GUYS ARE THE BEST! I've been using this app for over two years now. It has been incredibly useful from the start. It's not just being about to adjust tempo and key that are nice, but the ability to mark any place in the song, then go to the mark, or loop between marks, etc. With the newest version it is easier than ever to find a spot in the music (just drag the waveform back and forth), precisely position a mark (just drag it around), and there's now extensive online help. I haven't even touched some of the advanced features. I even appreciate the way it rotates completely on the screen so that I can put my iPhone 5 upside down on the music stand with the headphone cord going up and over the stand.